In addition to our Open Events, we also plan a number of events throughout the year for prospective pupils to experience life at St Gregory’s in a more informal setting through our engaging primary liaison programme. Prospective families are also very welcome to contact the school and make an appointment to tour the school and meet with key members of staff. We look forward to welcoming you. 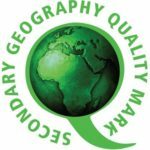 For parents and carers considering a place at Saint Gregory’s for entry into Year 7 in September 2019, we would advise that in the first instance parents/carers follow the guidance as issued by B&NES at http://www.bathnes.gov.uk/services/schools-colleges-and-learning/admissions-schools or your home Local Authority. Application forms relating to starting in Year 7 in September 2019 must be submitted directly to the home Local Authority, to arrive no later than 23.59 hours on 31 October 2018. Further information on In-Year Admissions can be found in our Admissions Policies and Documents and can be located here. All students in their final year at Saint Gregory’s have an automatic place in The New Sixth, provided they meet the entry requirements for a full-time programme of study. We also have places for external students who may wish to experience a new type of sixth form provision and who meet the requirements for a full-time course of study. 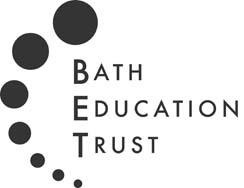 Further information on courses available from September 2019 can be found in our Course Guide and at www.newsixthbath.org.uk.